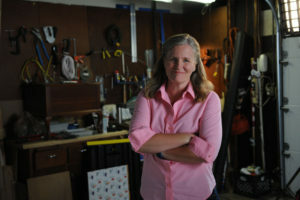 Laura will fight to get Illinois back in working order and bring integrity to Springfield. Illinois’ debt and pension problems cast a long shadow of uncertainty on our future. Two years without a budget and cuts to vital programs have harmed our schools, our infrastructure, and our economy. We need responsible, accountable leadership to bring stability and growth back to Illinois. Laura will work across the aisle to bring concrete, real-world solutions while protecting our vital services and our vulnerable citizens. Laura spent her career working in engineering and manufacturing and dealing with government regulation, all while raising two children, so she knows how important it is for our government to work for us and not special interests. Laura will work to ensure we have balanced budgets that invest smartly in our communities. She will fight to cut wasteful spending with structural reforms. She also supports tax relief for working and middle class families while ensuring that wealthy people pay their fair share.